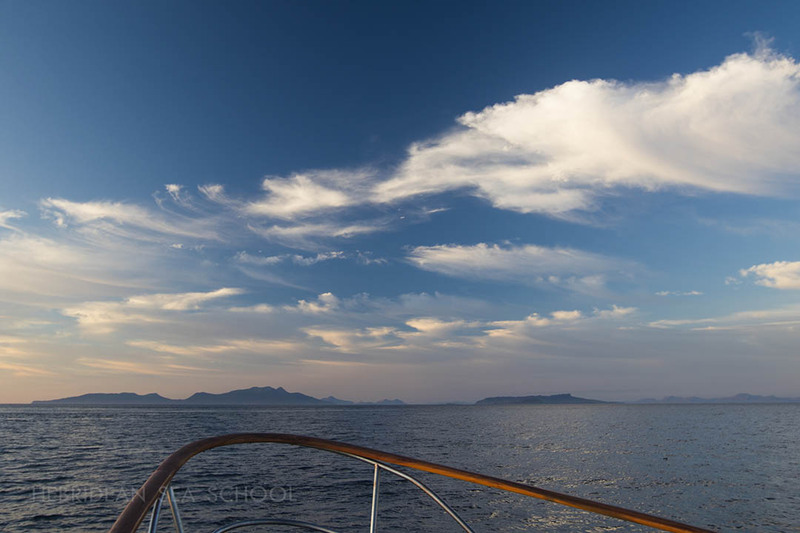 As Scotland's motor cruising school, we offer a wide variety of shorebased, practical and online courses. Whether you're looking to take your first steps on the water or are a more experienced skipper wanting to further develop your skills, we have the right course for you. 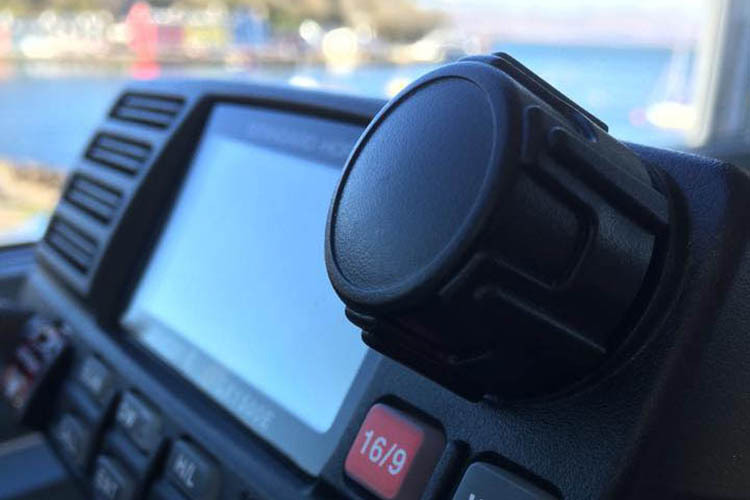 From the Marine Radio (SRC), right up to the Yachtmaster Offshore - all of our courses can now be booked online. You can join one of our scheduled courses or we can tailor a course to suit your individual needs. I have read the course details and confirm that I am eligible and meet the prerequisites. I have read and agree to both the Hebridean Sea School terms & conditions and the Navathome terms & conditions. Please click confirm to add this course to your basket. You will have 1 hour to complete the checkout process before this space becomes available again. This course has been added to your basket. Would you like to add any of the following to your reservation? 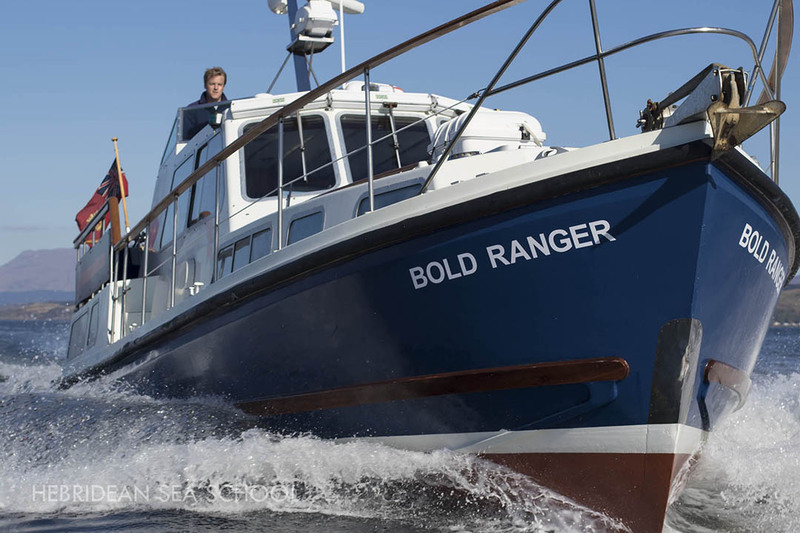 Bold Ranger is our Nelson 42 motor cruiser. Powered by twin Ford 6-cylinder 212hp diesel engines, she cruises at 11 knots. She is coded for up to 12 passengers and is the perfect vessel for practical RYA Motor Cruising courses. Bold Ranger is also available for charter, starting at £800 per day. Bold Ranger is also available for charter, starting at £650 per day. 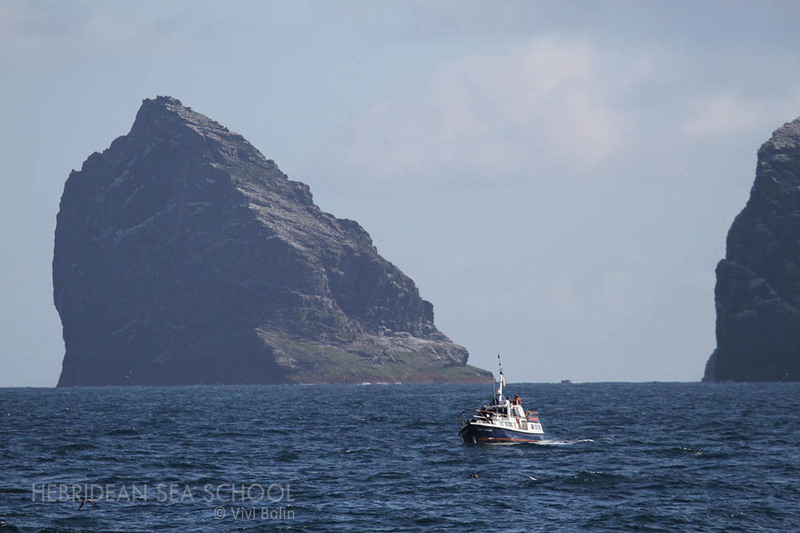 I thoroughly enjoyed the coastal skipper theory course with Hebridean Sea School. James has a very friendly and patient approach to teaching. Thank you very much! 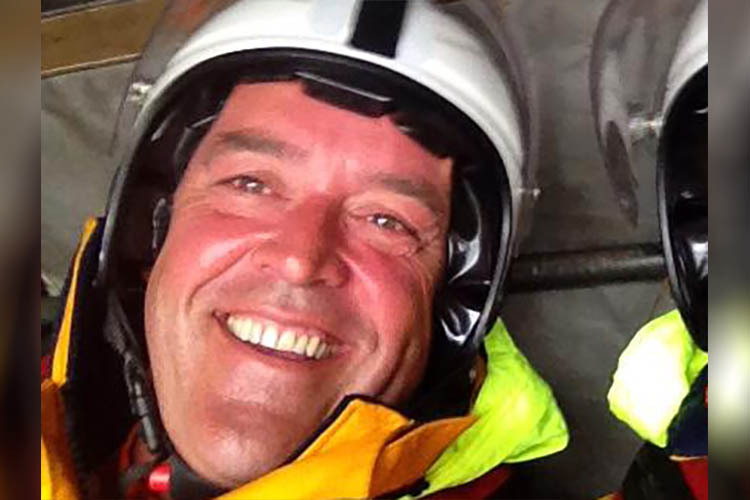 Many thanks to James for getting me through my Yachtmaster exam, He had a lot to do and not much time in which to do it! 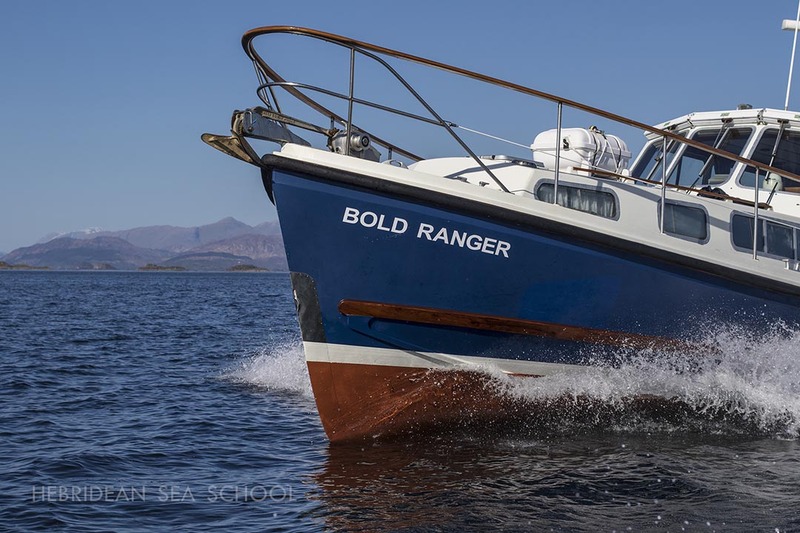 The combination of James' teaching skills and the excellent live-aboard facilities of Bold Ranger made for a great course. I travelled from the Isle of Man to do the course and it was worth every penny. The training during my course was of the highest standard. Great, friendly instructor, amazing location, hope to come back for another course soon. Instructor James is very professional at what he does and makes you feel very at ease on the course, first class. This is not only training of the highest quality but it's also a superb experience exploring the coast and lochs of the west coast. James is an excellent instructor, patient, enthusiastic and very knowledgeable. Highly recommended course, enjoyed the whole week, thanks James. All of our courses can now be booked online. If you have any questions then please call us on 07771 851349, email info@hebrideanseaschool.com or send us a message here. An outline of the course content can be found by clicking on a course above. A full syllabus can be downloaded from the same area. Please read the syllabus for more detailed information on what your course will involve and don't hesitate to get in touch if you're still not sure. The course syllabus will also have details of the pre-requisites for the course. Even if you think you meet all the pre-requisites, please double check! Unfortunately, if you don't meet all of the requirements or don't bring paperwork to support your eligibility, you will not be able to sit the exam. Are your courses suitable for children? Do you have any fitness requirements? None of our courses are hard-going, but for practical courses we do require a small level of fitness so that you are capable of getting in and out of tenders, and moving around the vessel whilst at sea. During our practical motor cruising courses we provide accommmodation aboard our Nelson 42, Bold Ranger. 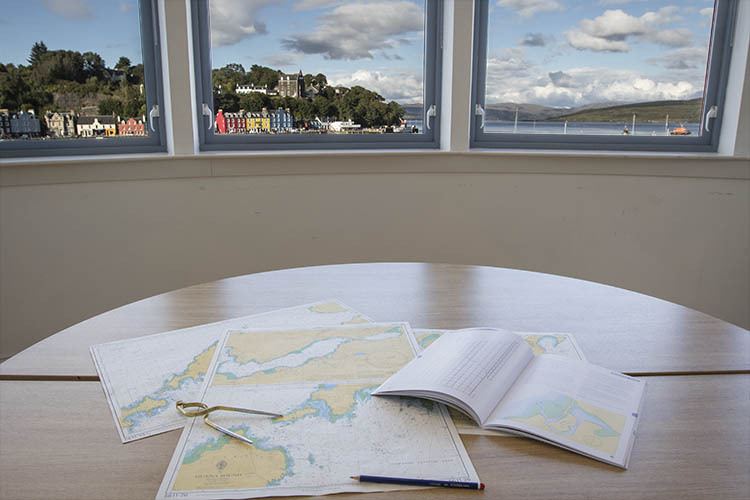 The first two nights of your course we will usually come ashore in Dunstaffnage so the choice is yours whether you stay aboard or find somewhere local to rest your head. No accommodation is provided during theory courses but there are plenty of places around Oban that we would be happy to recommend. During our practical courses we provide breakfast and lunch but dinner is not included. Depending on the weather and our location, we usually try to find somewhere to go ashore for an evening meal but occasionally it will be cooked on board. Whether ashore or aboard, you will need cash for evening meals. Theory courses provide ample tea and coffee (James can't function without a fresh brew every 15 minutes!) but please bring your own lunch. There are plenty of places along Main Street for you to grab something tasty. And how about the Scottish weather? Although the weather can be unpredictable, the west coast of Scotland is littered with over forty different islands - with hundreds of safe bays in which to anchor, there is always somewhere safe. 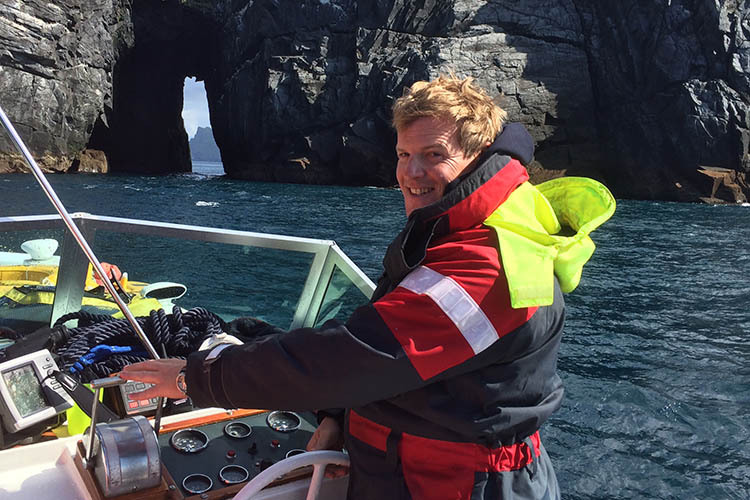 At Hebridean Sea School, we take every care to ensure your safety and comfort on board. If the weather does change then you can rest assured that there will be experienced hands at the helm. 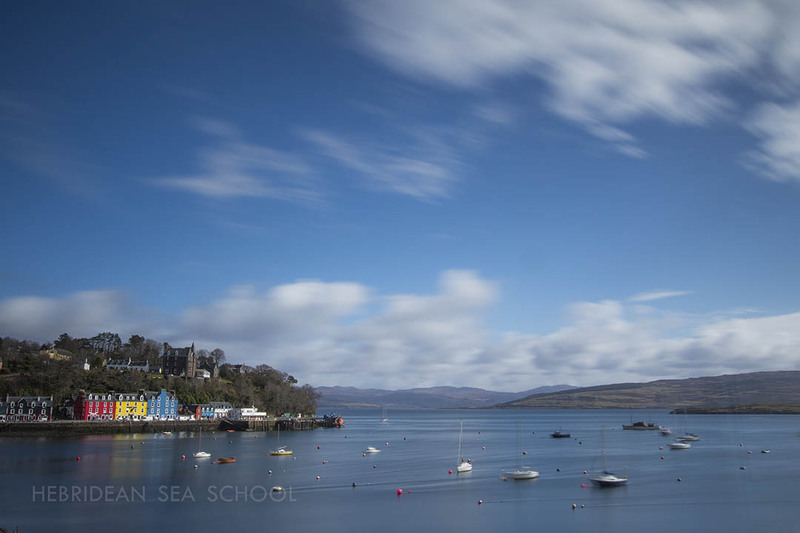 Our practical courses start from Dunstaffnage Marina. Own boat tuition can be carried out anywhere in the UK. Theory courses are usually based at Dunstaffnage Marina, but can be arranged from any suitable location upon request. All of our courses can be reserved online but if you have any queries at all then please use the form below to contact us. 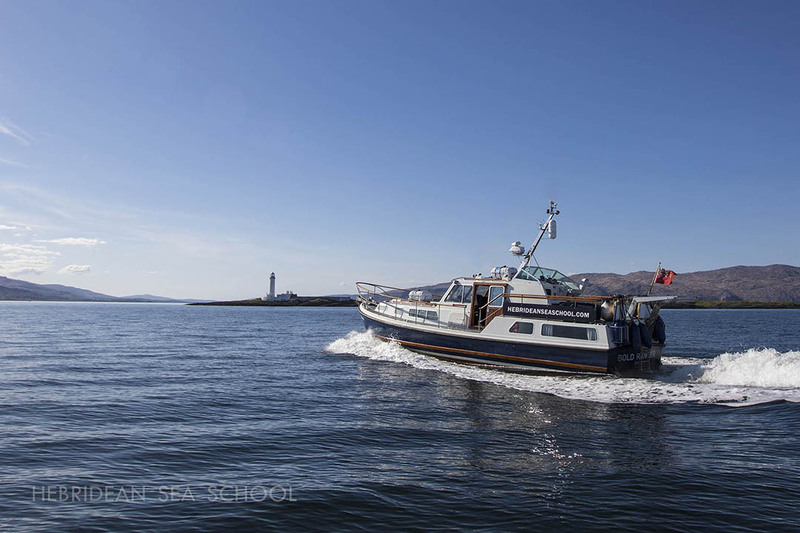 © 2019 Hebridean Sea School. All Rights Reserved.